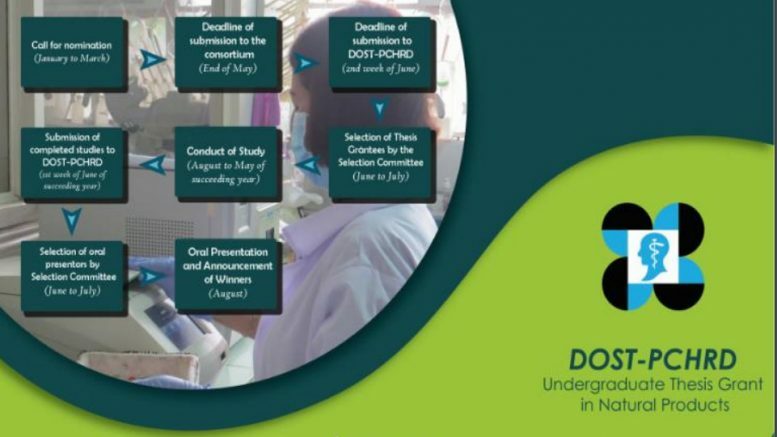 The Department of Science and Technology – Philippines Council for Health Research and Development (DOST-PCHRD) is pleased to announce the call for nominations for the DOST-PCHRD- Undergraduate Thesis Grant in Natural Products. For details visit here. You can download the application form here.